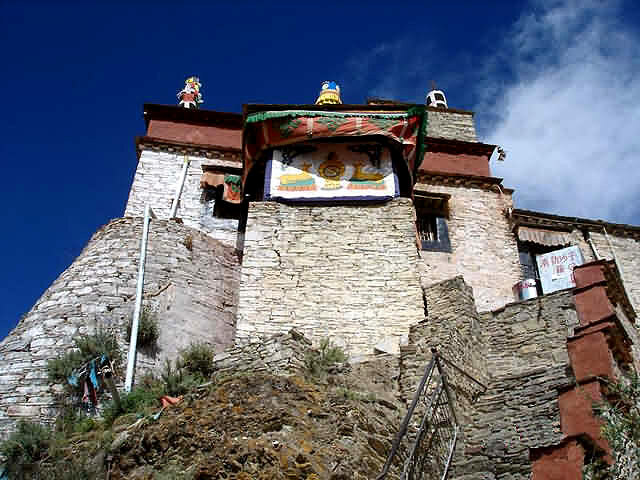 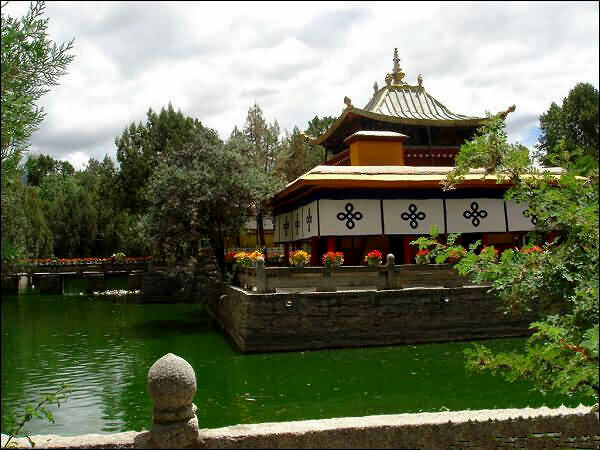 Yumbu Lakang is the oldest palace in Tibet. 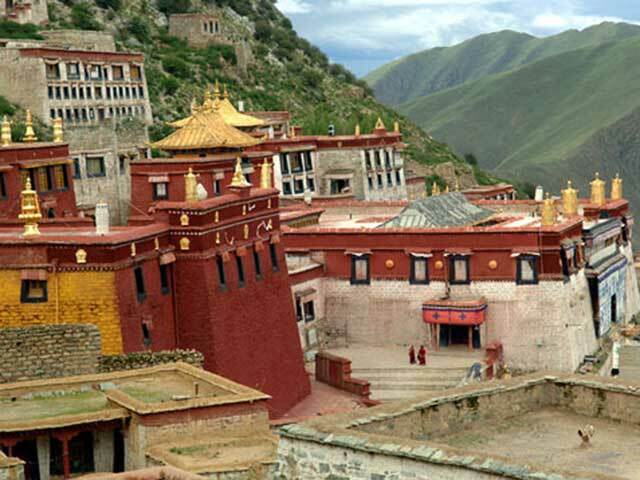 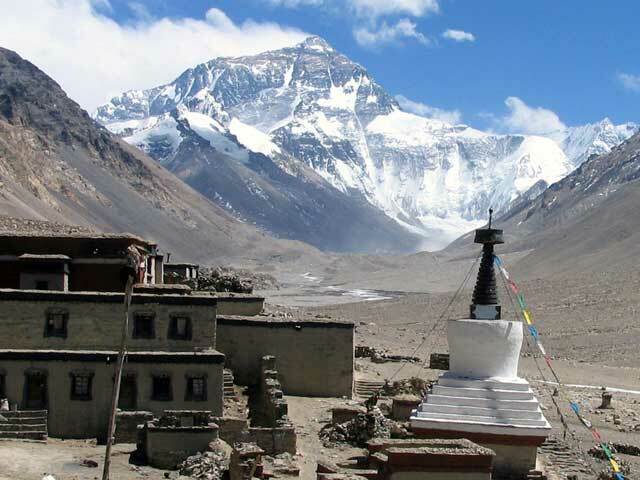 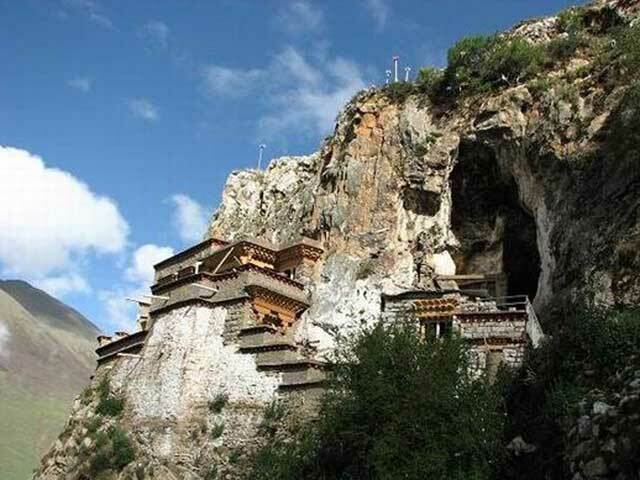 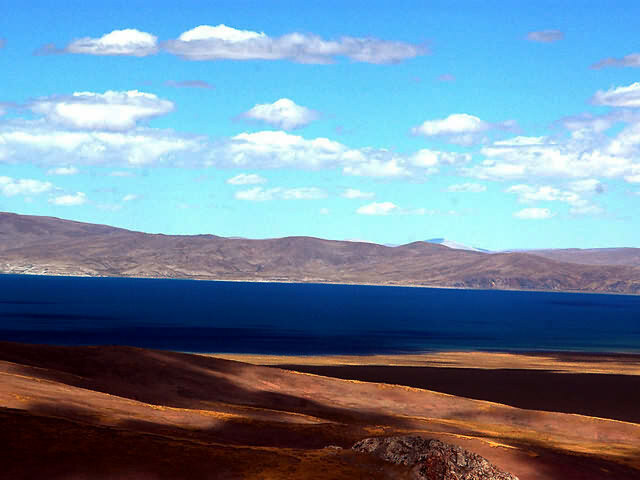 It was built by Nyatri Tsanpo, the first Tibetan king, in the 2nd century B.C. 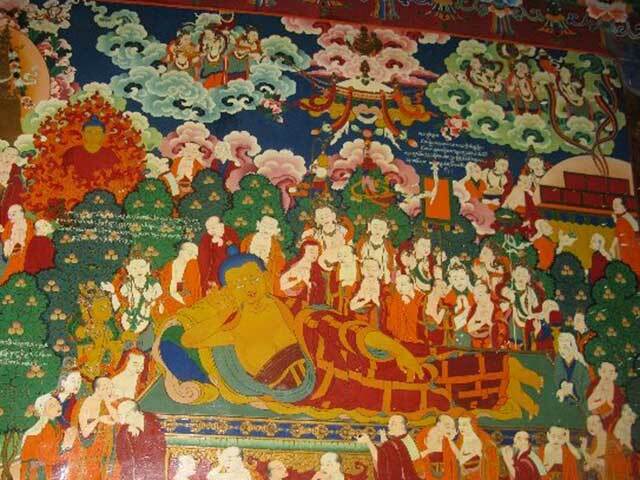 It was also the burial ground for kings of the Tubo Kingdom between the seventh and ninth centuries. 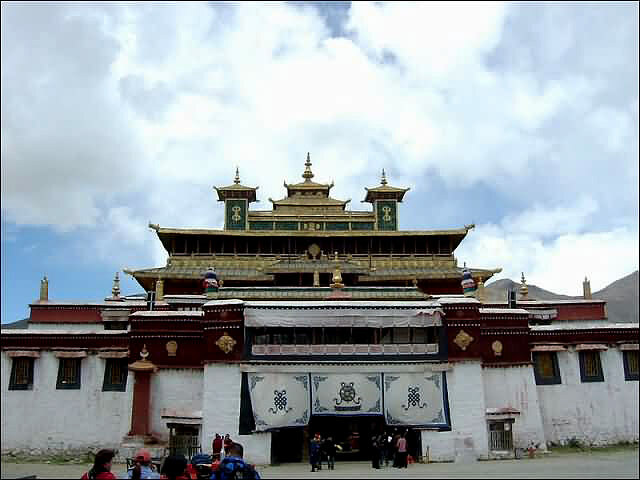 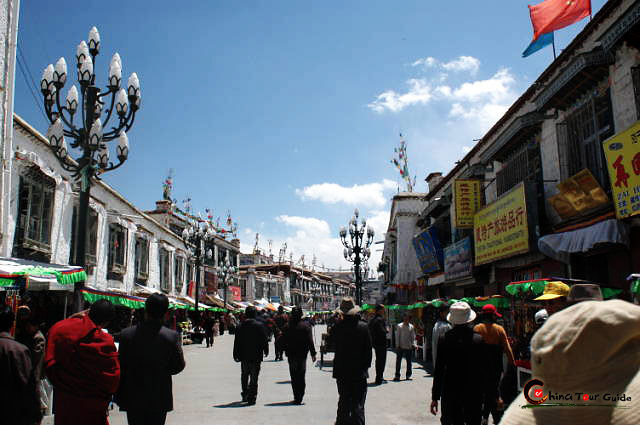 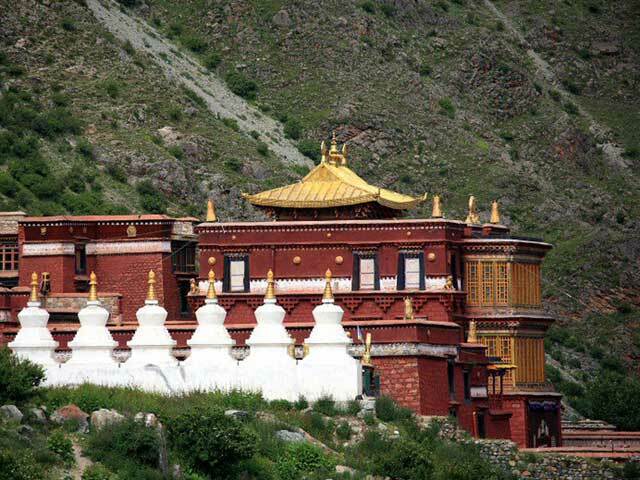 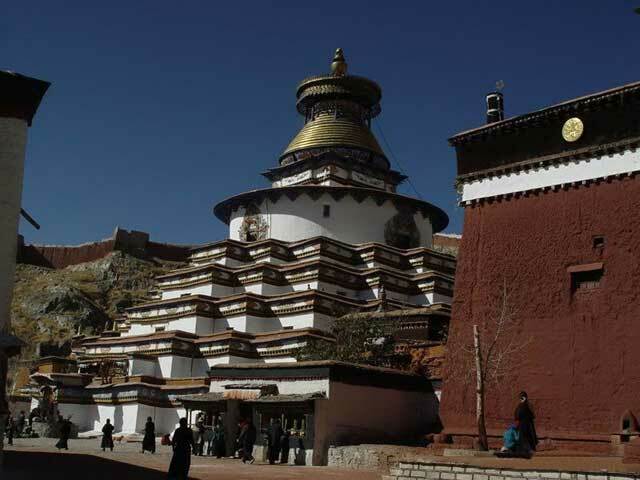 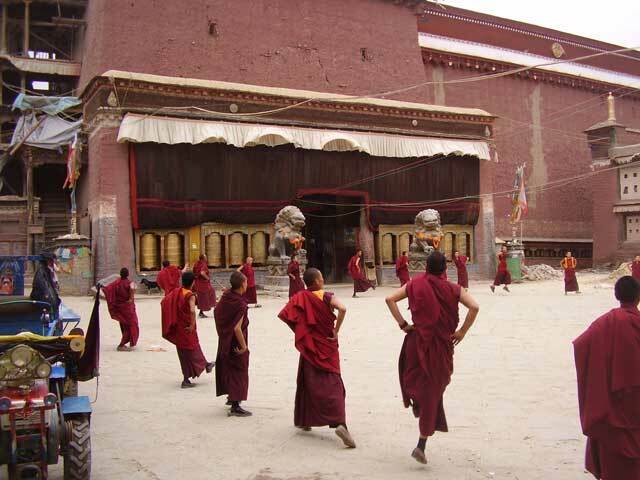 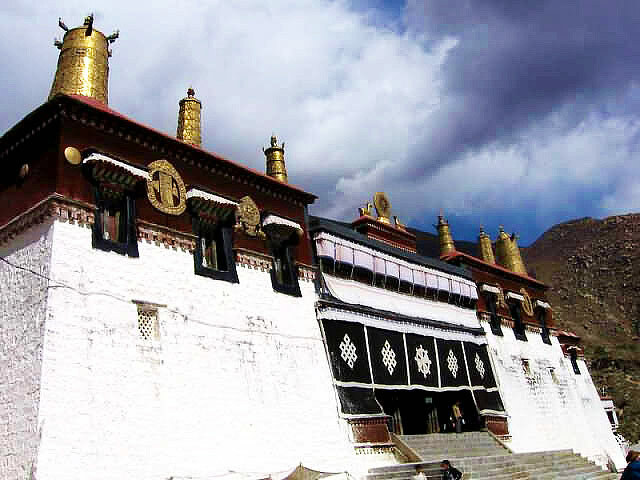 The palace plays an important role in the origin of Tibetan history and culture. 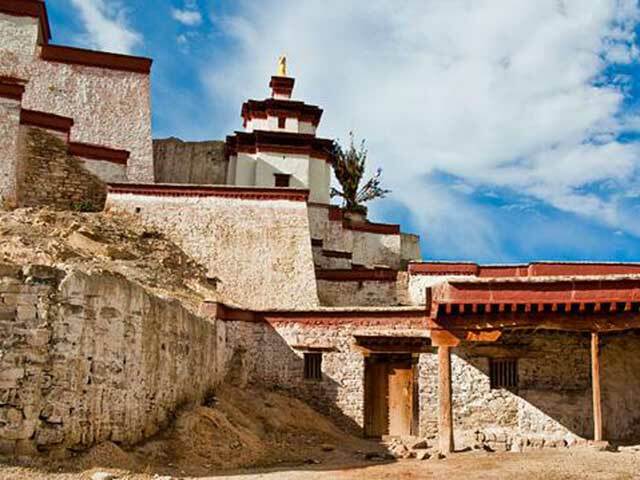 Yumbu Lakang Palace sits atop a small hill east of the Yarlong River and faces west. 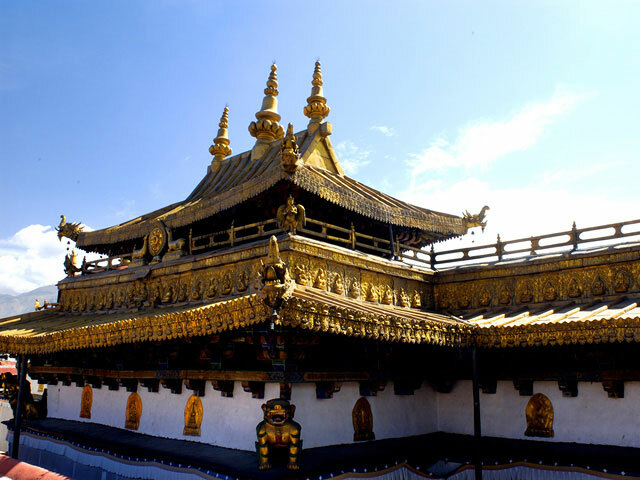 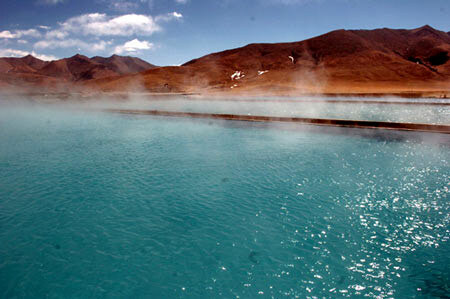 Therefore from the palace you will also enjoy a bird's eye view of the beautiful Yarlung Valley. 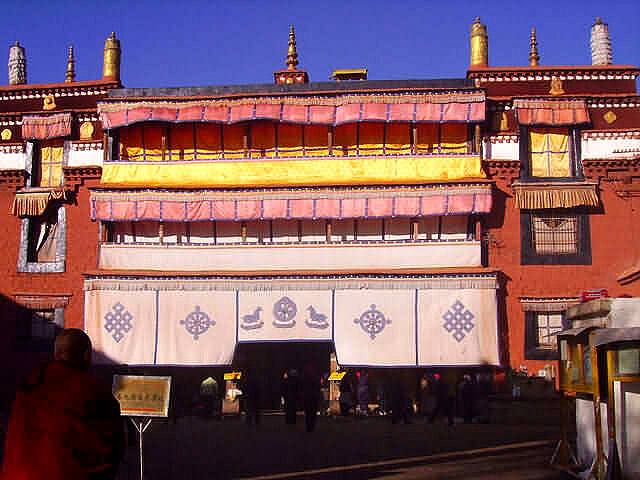 In Tibetan "Yumbu" means female deer, and "Lakang" means holy palace. 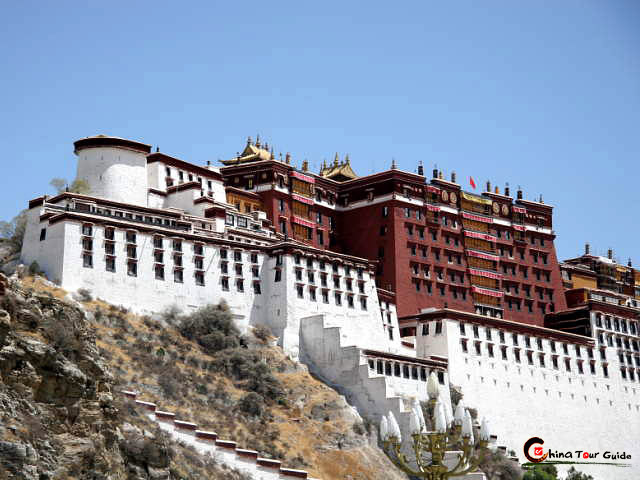 Taken together "Yumbu Lakang" means "the palace built on a doe's leg". 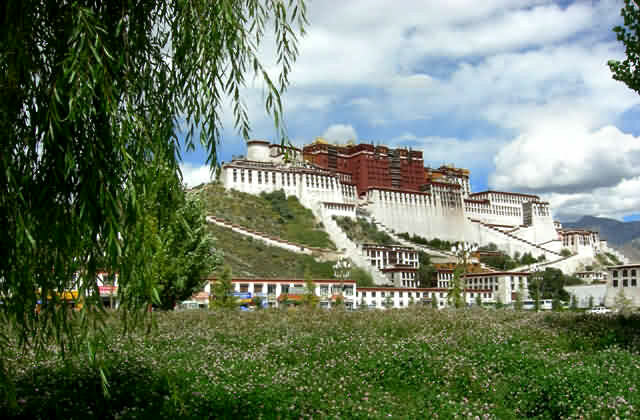 It is named this because the hill the palace is built on resembles a deer leg. 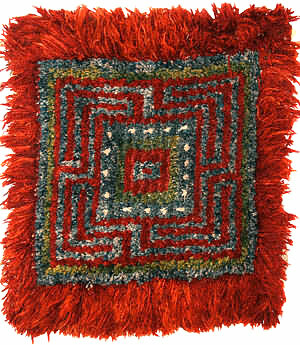 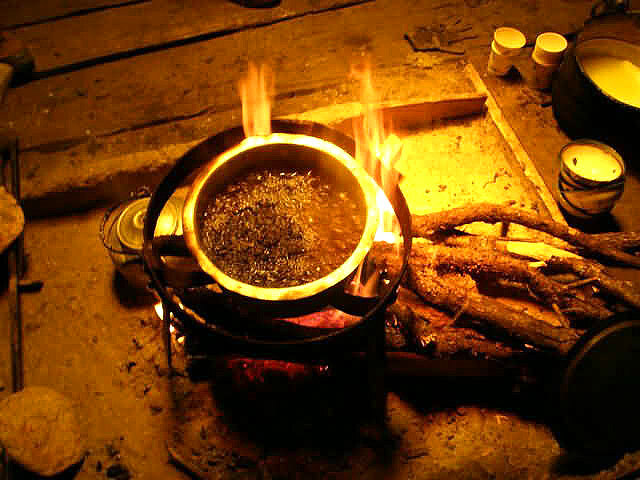 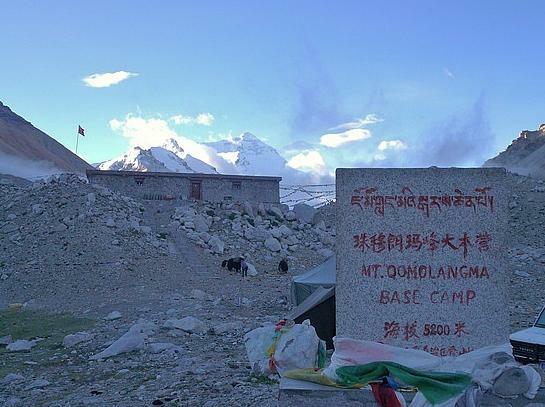 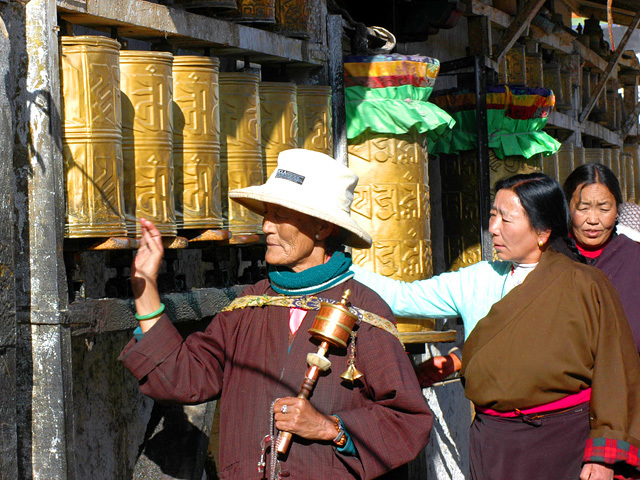 Yumbu Lakang has many historical Tibetan legends. 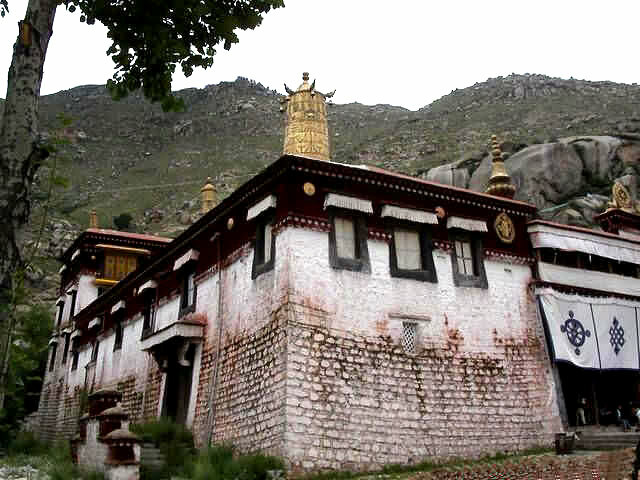 Legend says that in the fifth century a Buddhist sutra fell from the sky onto the roof of Yambu Lakang. 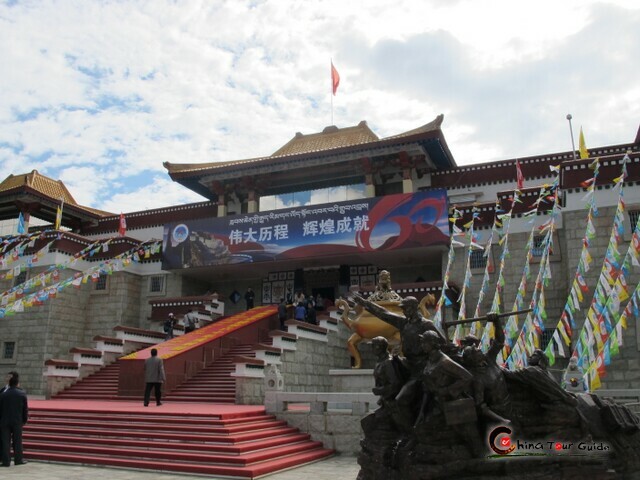 Nobody could read the book. 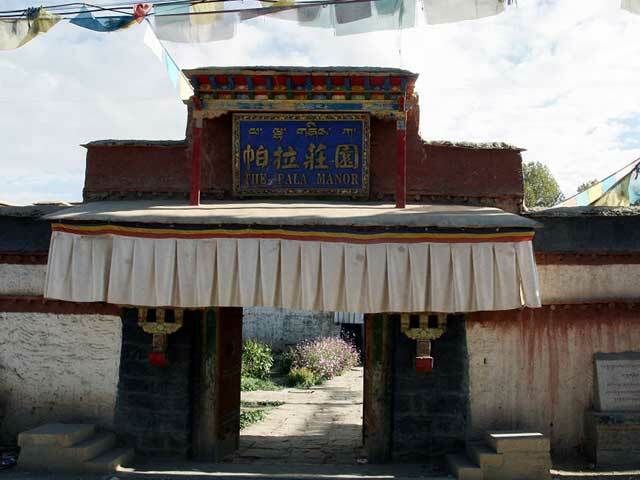 However a sage predicted it would be interpreted between the 7th and 8th centuries, so the sutra was well kept in the palace. 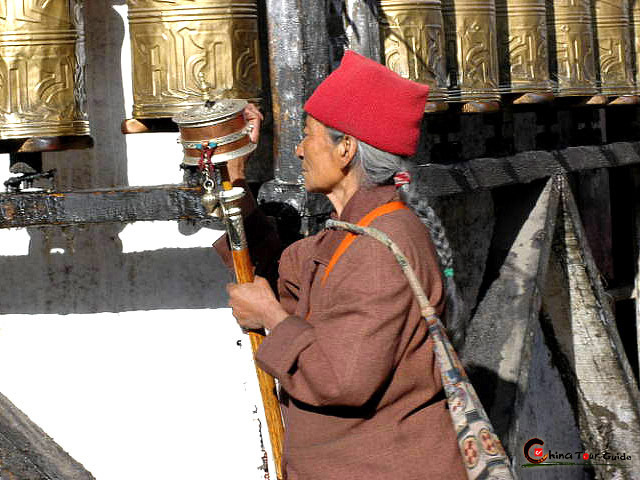 It is legends like this that gives Tibet much of its rich culture and fascinate tourists from around the globe. 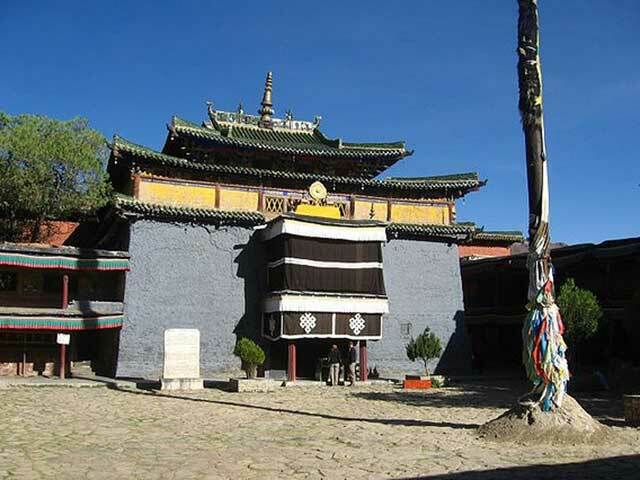 Tibetan kings and their ministers are enshrined in a small palace mausoleum. 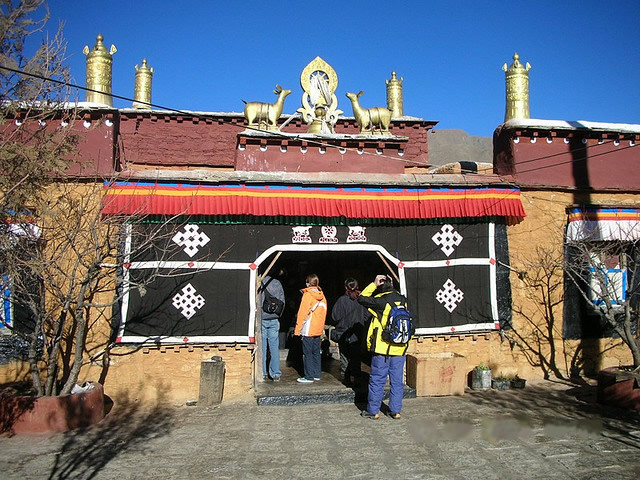 The mausoleum's upper floor holds a small chanting hall, which houses statues of Sakyamuni and Chenrezi. 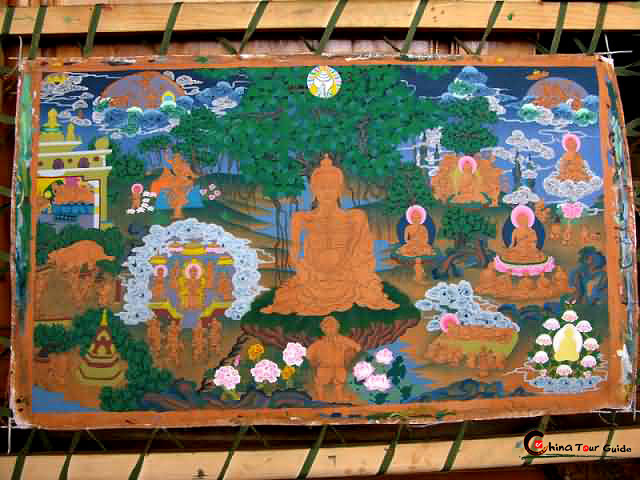 A mural gallery uses vivid pictures to depict Nyatri Tsenpo's arrival from the sky as well as many other historical Tibetan legends.